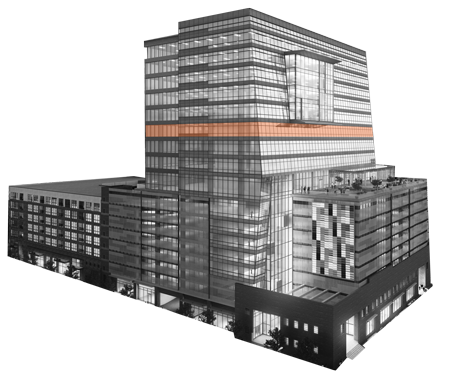 Approximately 227,000 square feet and soaring 18 stories high, The Dillon’s innovative design incorporates the character of the historic Dillon Supply warehouse building, while providing state-of-the-art, efficient work space for today’s office user. Approximately 28,000-square foot floor plates. Open and column-free allowing maximum flexibility in space design. Floor-to-ceiling glassline and expansive windows offering extensive natural daylight.